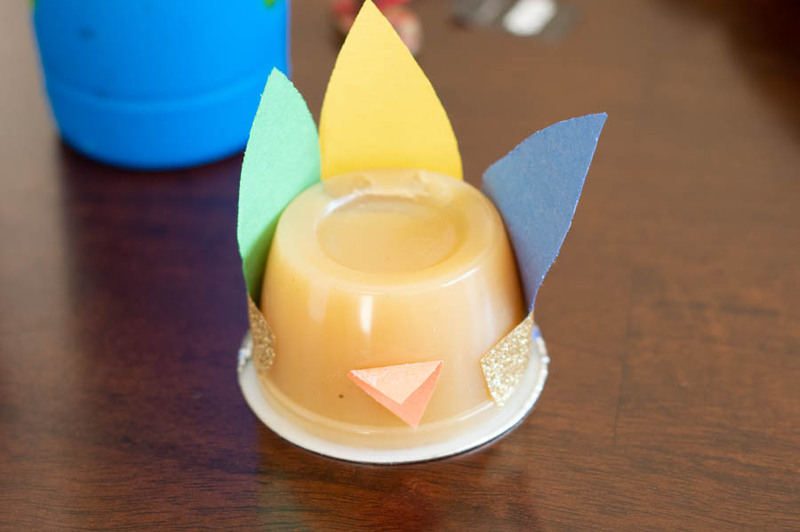 I’ll let you in on a little secret: you can make a turkey out of almost anything. 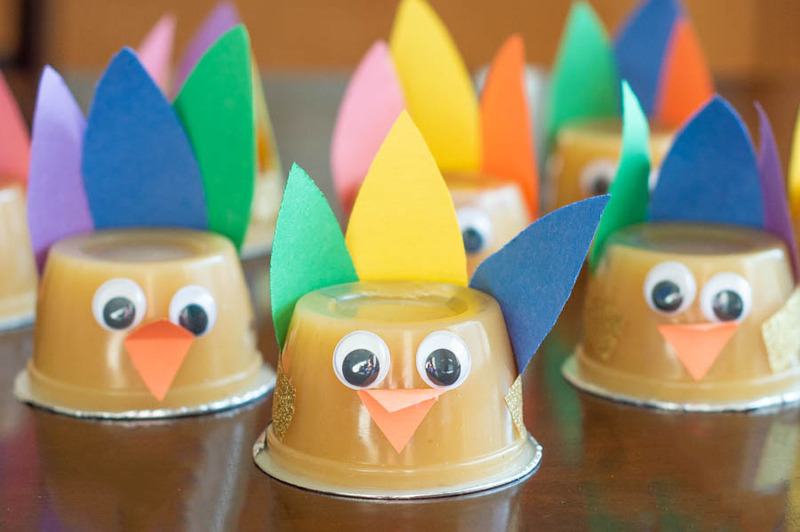 Case in point, these cute little turkey applesauce cups. 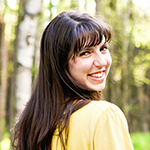 They are so fun – and I love how easy they are. 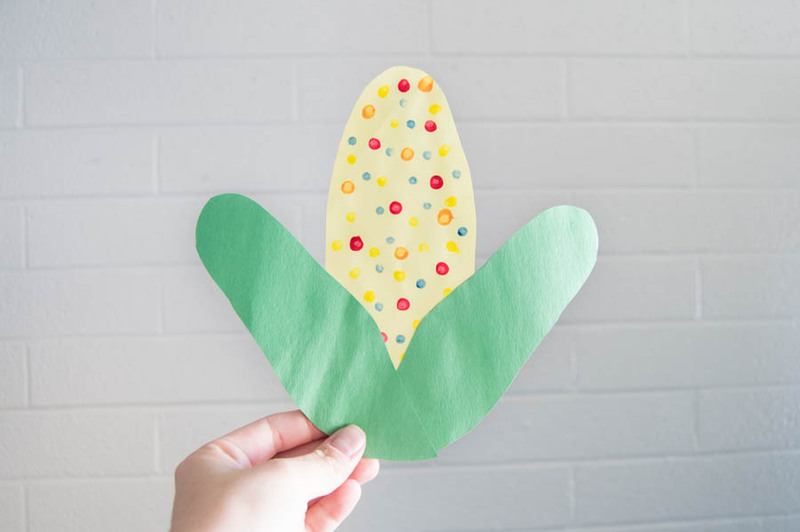 This is the kind of thing you could put together for a classroom celebration and not have to curse yourself for volunteering to bring 25 healthy themed snacks. And these are a healthy little snack – since the only food involved is packaged applesauce. 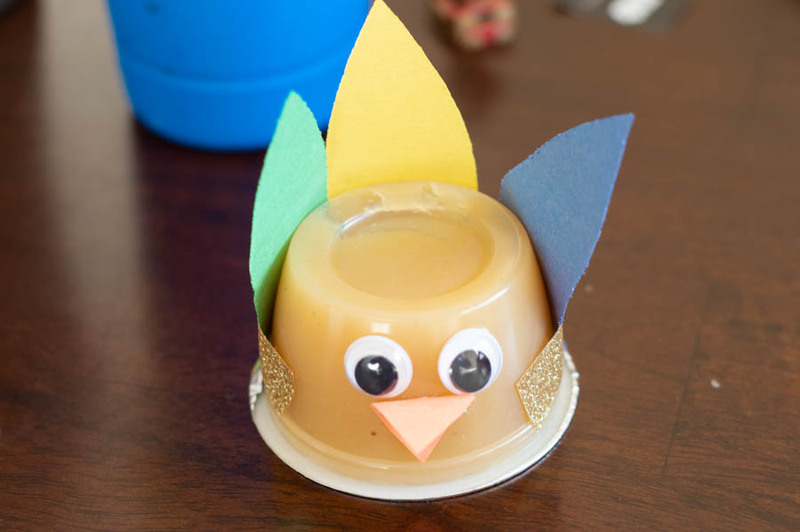 This makes our cute little gobblers an excellent choice for most schools. 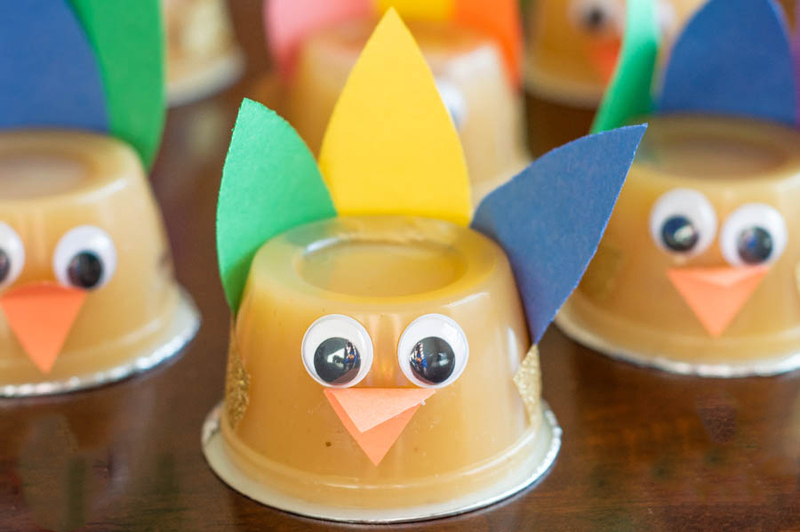 This is definitely what I plan to contribute to my son’s preschool Thanksgiving party. I also have other plans for these little guys. When Grandma was here this last week, she and Alex mass produced a bunch of these for decorating our Thanksgiving table. I’m thinking that if I put a little place card in between the feathers, I can use these turkeys as place markers. Wouldn’t that be cute? 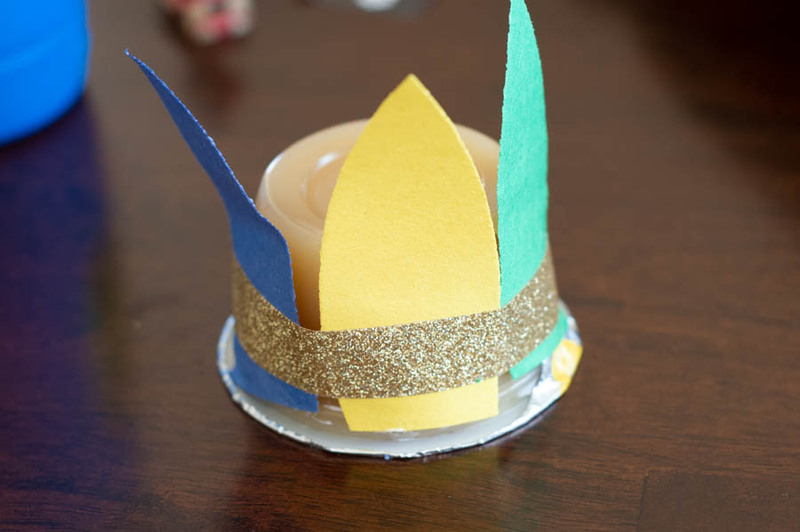 Start by cutting out three feather shapes out of the construction paper. You can use all the same color paper, or mix it up! 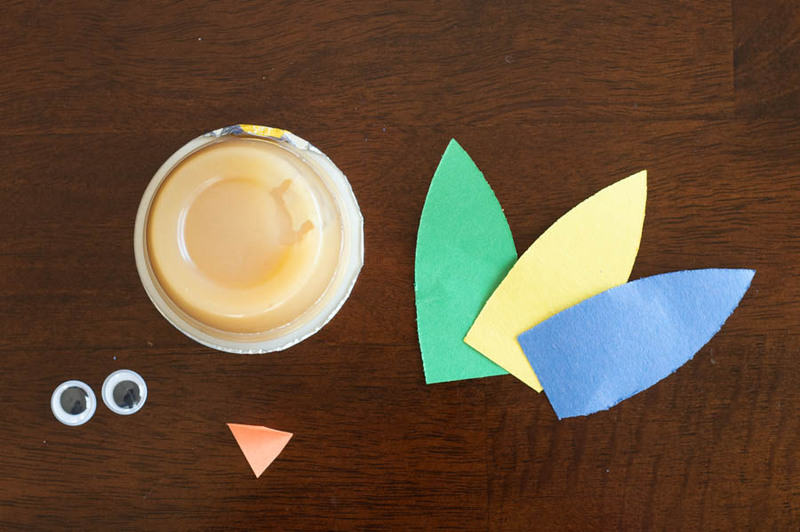 Now, glue (or tape) your feathers to the back of your overturned applesauce cup. Glue takes a long time to dry and stick to the plastic of the cup, so I used a little washi tape to hold them on until they dried. 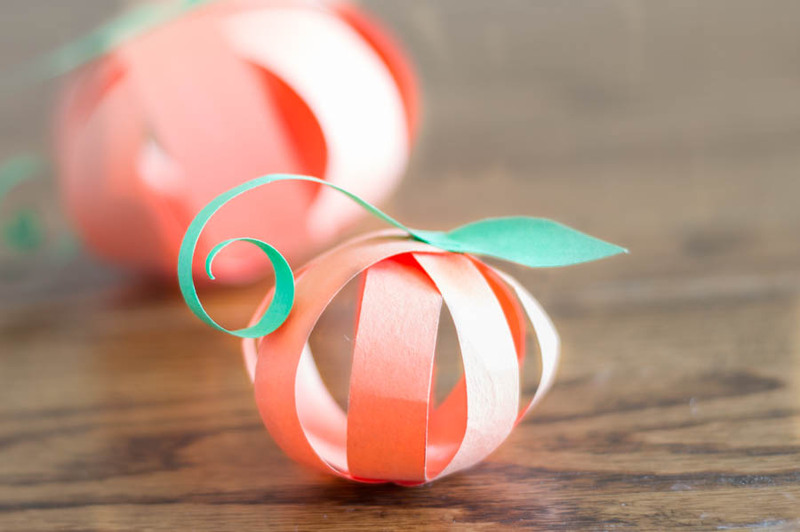 Then, cut a diamond shape from the orange construction paper and glue or tape it to the center of the front. Add a couple of wiggle eyes, and you’re done! That’s it! Your gobbler is ready for Thanksgiving! 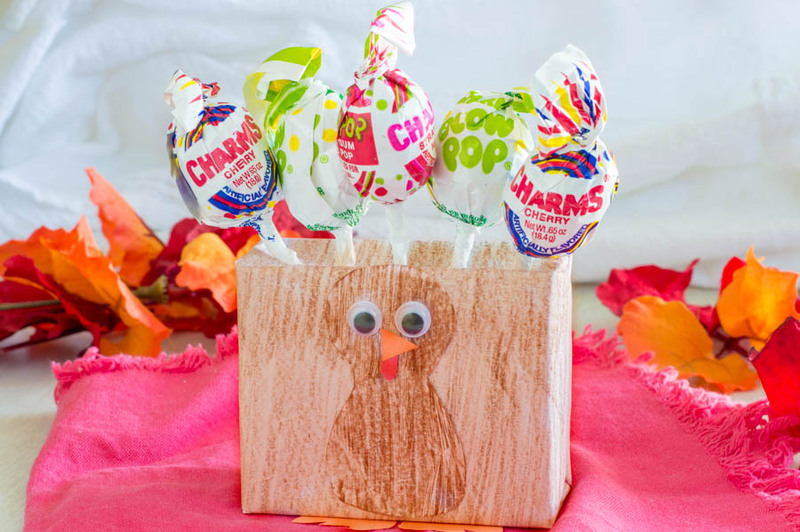 Looking for more Thanksgiving fun? Check these out!